KLRT/Channel 16/Little Rock anchor/reporter Kelly Dudzik isn't wasting anytime getting out of dodge. Dudzik is reportedly packing up and moving to Buffalo. It is not clear what station she will be working for. Dudzik joined KLRT in June of 2007 from KFBB in Great Falls, Montana. Dudzik was the weekend news anchor at KLRT. She was not included in the layoffs earlier in the week. UPDATE: It has been confirmed Dudzik will be going to WGRZ, the NBC affiliate in Buffalo. KTHV/Channel 11/Little Rock will soon be getting a graphics overhaul. According to Newscast Studio Gannett is in the process of changing the graphics on its 23 tv stations around the country. Several Gannett owned stations have already made the switch. 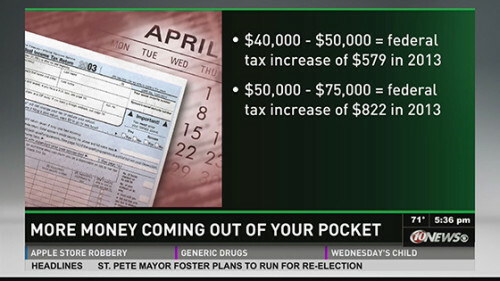 Below is a sample of the graphics. Gannett says it plans to have all stations fully converted by the end of the first quarter of this year. UPDATE: ATN has learned the graphic changes will be coming to KTHV either at the end of February or in early March! Source: KARK Fans of NBC's Tuesday night primetime lineup will get to see programming postponed last night on KARK. Betty White's Off Their Rockers 1:05 a.m. - 1:35 a.m.
Betty White's Off Their Rockers 1:35 a.m. - 2:05 a.m.
Go On 2:05 a.m. - 2:35 a.m. The New Normal 2:35 a.m. - 3:05 a.m.
As reported here first.....KLRT is adding a local morning show to its lineup. Arkansas Business.com reports the morning show will debut Monday. The new program will be hosted by KARK news personalities Deedra Wilson and Greg Dee. Personnel changes arent the only thing happening at KLRT. Arkansas Business.com reports Nexstar is making changes to the station's newscasts. KLRT will no longer have newscasts at 5pm and 10pm. The station will have a half hour newscast at 5:30pm and an hour long newscast at 9pm. Mike Vaughn, general manager of KLRT/KARK tells AB.com, "The Nexstar and Mission stations will retain their respective evening anchor lineup: on KLRT, that's founding anchors Donna Terrell and Kevin Kelly, and on KARK, it's Bob Clausen and Jessica Dean." Arkansas Business.com reports nearly 30 staff members of KLRT and KARK have lost their job. 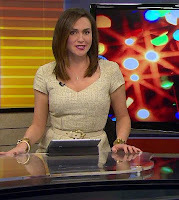 AB.com reports KARK on air personalities Wendy Suares, Adam Rodriguez and Jonathan Athens were let go. From KLRT that list includes sports anchor David Raath and news director Ed Trauschk. 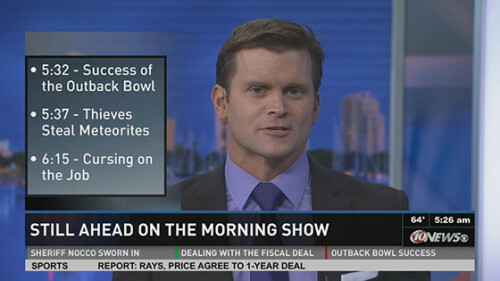 AB.com reports the first newscast from the consolidated facilities will air Saturday. ..or in this case, where are they going! 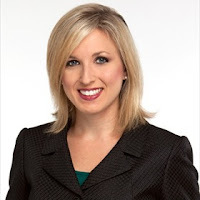 Former KATV Reporter Carla Wade is moving on up. TVN Journalism News reports Wade is moving to be Dallas/Fort Worth market to be an anchor/reporter for WFAA. Wade is leaving KOCO-TV in Oklahoma City. Carla began her career in broadcasting at the age of 19 at an Oklahoma City radio station where she anchored the news and was a morning show co-host. This first job opportunity led her to a two year stint at National Public Radio affiliate KGOU/KROU in Norman, Oklahoma where she anchored the evening news and reported for the morning show while enrolled as a full time student. 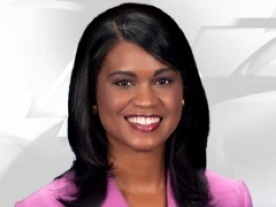 Carla worked as a General Assignment Reporter and Morning Anchor at KATV in Little Rock, Arkansas and as a Weekend Anchor, Producer and Reporter at KSWO in Lawton, Oklahoma and as General Assignment Reporter at WTVQ, Action News 36, in Lexington, KY. Source: Press Release The CW Network has awarded its coveted Station of the Year honor to The Arkansas CW. The station was singled out among all CW Plus affiliates for the 2012 distinction based on its collective efforts in delivering outstanding initiatives in marketing, promotions, community outreach and sales. The CW Plus Network is a group of 109 CW Network affiliates across the country covering diverse markets comparable in size to the Arkansas CW. Typically (and as is the case with The Arkansas CW), a CW Plus Network affiliate operates on a traditional station’s multicast channel. The prestigious Station of the Year award is presented once annually to the station delivering the most exceptional results in its local community. This is the second such accolade for Hearst Television Inc., parent company of The Arkansas CW: in 2009, Orlando’s CW18 (WKCF-TV) was honored as the CW Network’s Station of the Year. “Our team comes to work every day determined to produce and deliver exceptional local television” said Arkansas CW President and General Manager, Brian Sather. “We’re all very humbled and honored to be considered best of class by our peers across the country,” added Sather. The Arkansas CW is one of America’s leading CW affiliates. In November, Arrow placed the station among the top three CW Affiliates in the nation. In August, the station launched a local newscast at 9:00 p.m. and in three short months it was tied for the most watched local news in the time period with Women 25-54. In June, the station began broadcasting in HD and currently delivers as many as 17 programs per week in 1080p HD. In May, Hart of Dixie’s ratings placed it among the top three CW stations in the country for delivering Women 18-34. With the expansion to local news, the Arkansas CW continues to demonstrate a commitment to the community and a dedication to localism. 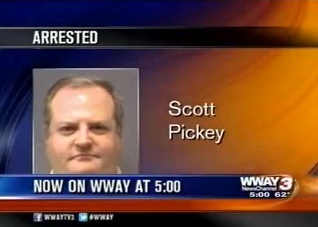 TV Spy reports former KNWA News Director Scott Pickey ( now ND at WWAY, Wilmington, North Carolina) was arrested Monday for driving a station vehicle through the MLK parade. TV Spy reports police officers would not let WWAY employees leave the station parking lot until after 2pm when the parade had ended. Pickey asked officers several times to allow reporters to leave during long breaks during the parade but told Pickey no. Pickey was arrested when he got into a car and drove out of the parking lot into the parade route. Pickey was news director at KNWA March 2009- December 2007. KFSM reports that their very own Ashley Beck was arrested for suspicion of driving while intoxicated. KFSM reports an Arkansas State Police trooper stopped Beck on Interstate 40 near Van Buren early Sunday. A tipster says, "New Fox 16/KLRT morning show starts in February. 7-9AM. Who will anchor it?" Seems Nexstar, excuse me Mission Broadcasting is adding a morning show to the lineup. Seems promos started airing over the weekend promoting the new show. Arkansas Business.com reports Randy Dixon has been hired to head the David and Barbara Pryor Center for Arkansas Oral and Visual History at the University of Arkansas. Dixon worked at KATV/Channel 7/Little Rock for 31 years. Dixon served as News Director at KATV for 10 years. "Randy Dixon is a walking encyclopedia of Arkansas history, because of all his years in the news department of Channel 7 in Little Rock," former U.S. Sen. David Pryor said in a news release. "We are very excited that he is taking this position. He will be a great asset to the center." Dixon began his new job today. 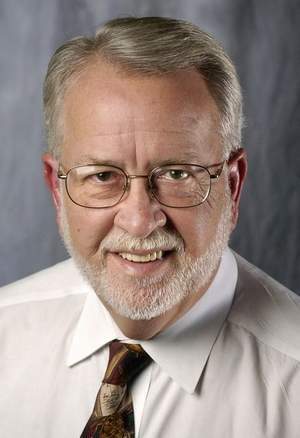 The Shreveport Times reports longtime Shreveport journalist Jim Montgomery passed away. The article says Montgomery served as a newscaster and reporter for KTBS/Channel 3 in 1968. After leaving Channel 3 Montgomery served as editor of a couple of publications in Shreveport and served as executive director of the Beaird Foundation, the philanthropic and charitable organization founded by the late Charles T. Beaird, Shreveport financier, capitalist, philanthropist and former Shreveport Journal publisher. Have Directv viewers in Nevada County lost the Little Rock locals. We've previously been able to watch both Little Rock and Shreveport locals...but as of today, all the Little Rock Channels say they are blacked out. Mike Ross worked out the agreement a few years ago with Directv to receive both local markets. Has that changed since he's not in office any more? Yep, believe me living in between Shreveport and Little Rock is a curse because of this. Growing up I always loved having the choice of looking at Shreveport or Little Rock network affiliates..but of course I was a subscriber to cable tv. With Direct tv and other little dish operators they see Shreveport as the local DMA and not Little Rock. BUT such a fit was thrown when all the Little Rock stations weren't an option for the little dish customers Mike Ross made some sort of a deal with them. Wonder what it is going on here. A look back and that agreement was made in April of 2006. UPDATE: 01.14.2013 Seems the glitch has been fixed. No explanation on what the cause was. Most viewers in Southwest Arkansas prefer getting their news from the Little Rock stations. Too bad the Ark-La-Tex stations don't go after these viewers. The Shreveport stations don't do a good job anymore providing news coverage for Southwest Arkansas. They all at one point had offices/studios and crews in Texarkana. KTHV/Channel 11/Little Rock has named a new News Director. TV Spy reports Dave Parker joins Channel 11 from WCAU, the NBC affiliate in Philadelphi, PA. Where he served as the assistant news director for ten years. KTHV had been without a News Director since Chuck Maulden left the station in September 2012. More and more information is coming out about the completed sale of KLRT and KASN to Mission Broadcasting/Nexstar. As reported here KLRT/KASN General Manager Chuck Spohn was let go. Arkansas Business.com reports the 15 year GM was told of the decision Thursday. KARK GM Mike Vaughn is now in charge of KLRT/KASN. More changes on the way...Arkansas Business.com reports KLRT/KASN and KARK will be under one roof running from one location. Nexstar will not elaborate further. Source: Nexstar Press Release: Nexstar Broadcasting Group, Inc. (Nasdaq: NXST) announced today that Mission Broadcasting, Inc. (“Mission”), completed the previously announced acquisition of two television stations in Little Rock, AR from entities controlled by privately-held Newport Television, LLC (“Newport”) for $60 million. Simultaneous with the closing of the transaction, Nexstar entered into an Outsourcing Agreement with Mission to provide services to the two stations, KLRT and KASN, the FOX and CW affiliated stations, respectively, in Little Rock. Perry A. Sook, Chairman, President and Chief Executive Officer of Nexstar Broadcasting Group, Inc., commented, “This transaction is consistent with our core strategy to expand our operations and pursue financial and operating synergies to enhance free cash flow. We look forward to leveraging our knowledge of the Little Rock market, as we provide services to Mission, for the benefit of viewers of KLRT and KASN while creating an even stronger marketing platform for local area businesses. 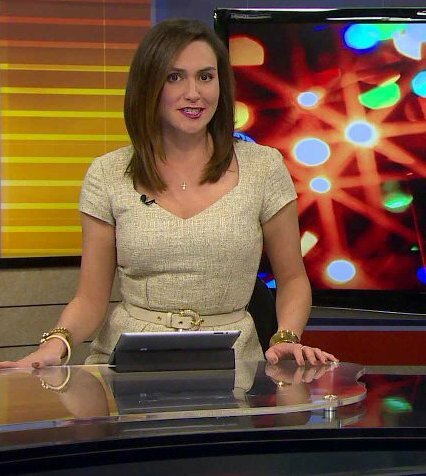 GM is out at Fox16, so far he is the only one let go by "Mission Broadcasting"
KATV officially announced Erin Hawley has joined the team to man the anchor desk on the weekend. Arkansas TV News was first to report the news in November. Hawley comes to Channel 7 from First Coast News/WTLV/WJXX/Jacksonville, Florida. The hiring fills the gap left when Heather Crawford left the station mid 2012. Chad joined the station during the summer of 2010. Chief meteorologist Jeff Baskin is the only weather person at FOX16 at the moment. Jeff is currently anchoring all of the weathercasts. According to his Facebook page, he is now living in Houston, Texas.